10 – Take a picture in front of the Tree of Life. The Tree of Life is the park icon for Disney’s Animal Kingdom. As you meander through the trails at the entrance to the park, you will walk right up to the Tree of Life for the perfect photo opportunity. You can take your own selfie or have your picture taken by one of the Disney PhotoPass photographers. You won’t want to miss this photo to commemorate your trip to the park. 9 – Pick up your Wilderness Explorer map. 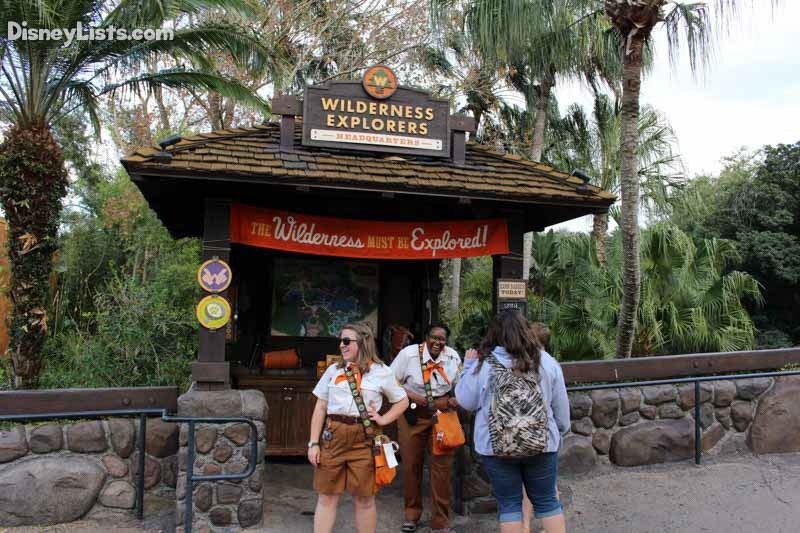 Within Discovery Island, you will find a Wilderness Explorer station. Here you can learn about what it means to be a Wilderness Explorer and pick up a map of all the Wilderness Explorer badge locations. Then you will earn badges as you complete your activities all around the park. It is a fun experience that the whole family can participate in. You will want to grab your map first thing so that you don’t miss any of the spots along the way and have to backtrack. 8 – Explore the Discovery Island trails at the entrance. Many guests breeze right pass the trails at the front of the park in order to get to the rides. If you aren’t in a huge hurry, then walk a little slower and take in all of the sights. There are a variety of animals to see right there in the front and you will totally miss them if you rush on through. 7 – Head to Pandora – The World of Avatar. If you are there at park opening, then we definitely recommend rushing over to Pandora – The World of Avatar. The immersively themed land still holds long wait times for the new attractions so if you don’t have FastPass+ for them it is a good idea to try to get in line before the line is too long. Don’t forget to also visit the land at night so that you can see the bioluminescent land at night, too. 6 – Check out an early breakfast at Tusker House. Try to book the earliest breakfast available at Tusker House. 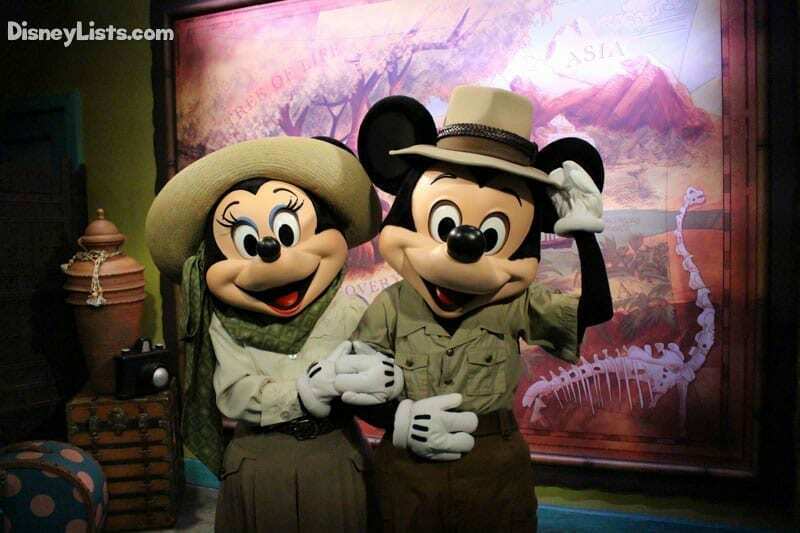 The breakfast is delicious and you get to meet and greet with character favorites in their safari attire like Donald Duck, Mickey Mouse, Minnie Mouse, and Goofy. Then you will be done with breakfast and ready to head to attractions ahead of other guests. 5 – Donate and get your conservation button. When you enter the park you can check out the shops right at the entrance and donate to the conservation fund. If you donate, you will be given a button that you can wear around the park all day and keep as a souvenir. It is a great way to help conservation efforts and show off your button so that you encourage others to do the same. 4 – Pick up a park map and Times Guide. If you aren’t familiar with the park, then you will want to pick up a park map and Times Guide so that you can plan out where you will be heading first to be efficient in how you move through the park. You can also find all of the information within My Disney Experience, so be sure to set up and link your account in advance so you can use the app and not have to carry a map around. 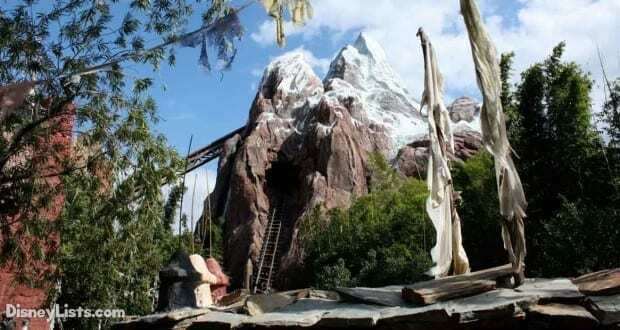 3 – Check out the single rider line at Everest. If you don’t mind being separated from your party, then we recommend checking out the single rider line at Everest. Early in the morning, you may even be able to ride the ride a couple times in a short amount of time that way and then head to some of the other attractions in the park. 2 – Check out the character meet and greet options. There are a variety of great character meet and greet options at the park, several of them that you can actually only find at Disney’s Animal Kingdom. Be sure to check the Times Guide or look within My Disney Experience to check the options for that and where to find them so that you can collect more character autographs and photos while you are there. 1 – Go on a Safari ride in Africa. If you aren’t rushing to get to Pandora – The World of Avatar, then we recommend that you head over to Kilimanjaro Safaris over in Africa. We love the morning safari rides since we typically have better luck seeing even more animals before it gets as hot. The line also gets extremely long, so it is usually better to check it out first instead of waiting until later in the day.